Are you looking for a unique catering idea for your wedding? 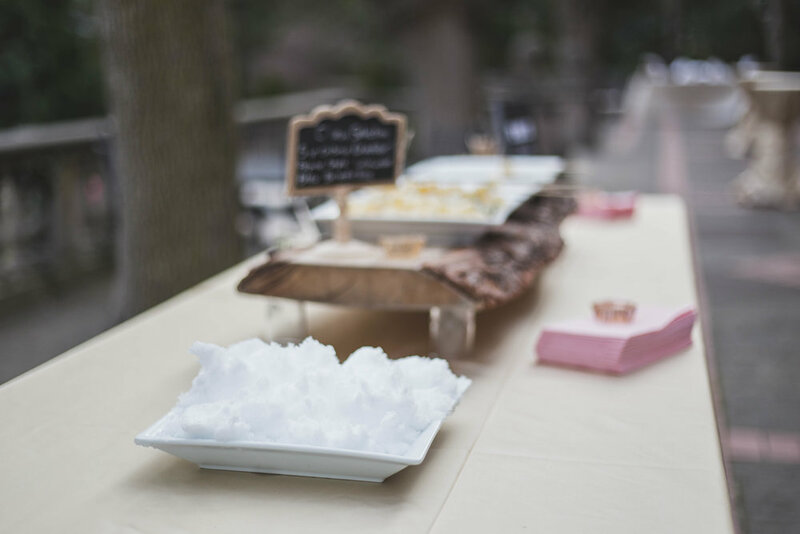 Our Maple on Snow dessert station allows you to give your guests this quintessential Canadian experience! Normally only enjoyed in the deep of winter at outdoor festivals or the tapping season of March, sixty six brix brings the outside experience, in. Allowing you all the comforts. A great addition for a multicultural wedding or a celebration of Canadian roots. If Canada had a taste, our frosted maple taffy would be it! We also offer a gastronomic pairing of sweet and savoury flavours; pure Canadian maple on snow served with a choice of artisan cheese or meat. We can serve it during cocktail hour or as a late night dessert table. Either way our delicious Maple Six is always welcomed at anytime of the party. Add a fun and entertaining food station that will set your wedding apart from the rest. Each serving is expertly prepared in front of your eyes, so you can watch the magic of maple taffy being rolled on fresh plates of SNOW! Guests will never forget this very "cool" station. Available all year round, inside or out - you decide.